We brought you the skinny on where and how to buy a Windows Phone 7 handset today, and it seems that you guys and plenty of other people listened. Amazon is reporting that one Windows Phone 7 handset is sold out, and another is currently holding second place among their most popular smartphones. The Samsung Focus is sold out completely on Amazon, with the company expecting more stock “soon.” Sure, it’s just one phone, on one carrier, from one provider, but everyone has their eyes pinned on the launch of WP7, and this is one strong indicator that the phones have a future. 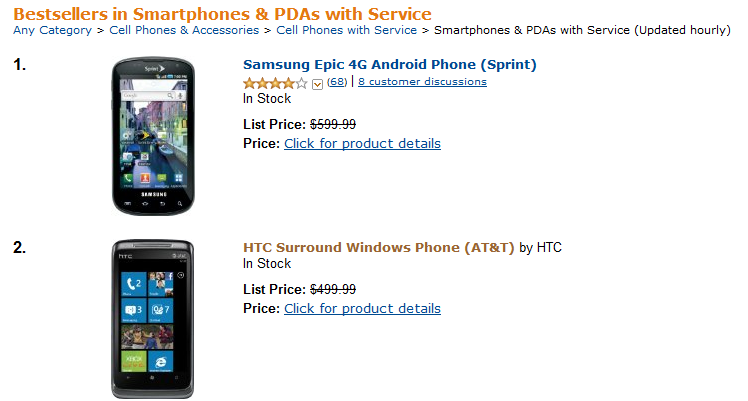 Continuing with the good news from Amazon, the HTC Surround, another WP7 on AT&T is currently ranked second (as of the time of writing) on the bestselling list for “Smartphones & PDAs with Service.” It is being beaten by the Samsung Epic 4G, which is nothing to be ashamed about. That seems to be the extent of data that we are going to be able to bring you today, ladies and gentlemen. As we get more sales data, we will of course report it. 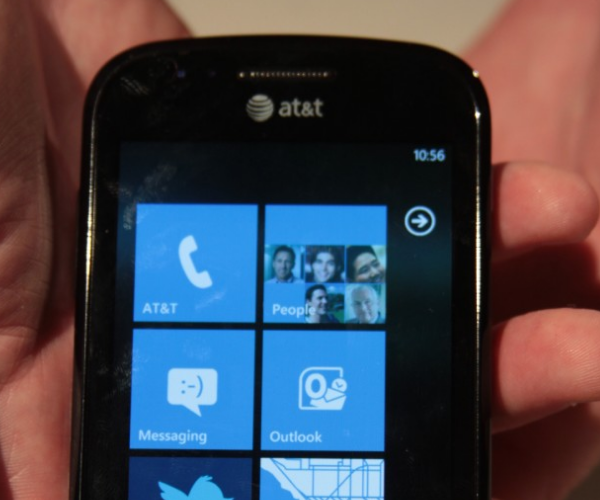 If you bought a WP7, what do you think of it?